Andrew R. Thalman is an associate with the firm and focuses his practice on civil litigation, tort law, collections and debtor/creditor law. Andy received his Bachelor of Science from Ohio University in 2004 where he majored in Legal Communication with a related area in Philosophical Writing and minored in Business Administration. During his undergraduate Andy was an active member of Sigma Alpha Epsilon Fraternity, Phi Alpha Delta Pre-law Fraternity, Order of Omega Greek Honor Society and Vice-President of Students Defending Students. 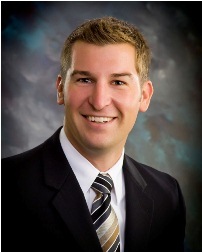 Andy earned his law degree from the University of Dayton School Of Law in 2007. While at Dayton, Andy was an elected member of the Honor Council and was selected to compete in the Intramural Moot Court Competition. In addition, during his summer semester Andy was selected as a legal intern for the Honorable Senator John D. Rockefeller in Washington, D.C. Prior to his employment with the firm, Andy clerked at the U.S. Attorney?s Office in Wheeling and practiced in Pittsburgh, Pennsylvania. Andy is admitted to practice in the states of Indiana, New Jersey, Pennsylvania and West Virginia. He is also admitted to practice before the United States District Courts for the Northern and Southern Districts of West Virginia and the Western District of Pennsylvania. Andy is a member of the West Virginia State Bar, the Pennsylvania State Bar, the Ohio County Bar Association and the Allegheny County Bar Association.